Expired driver's license is considered, if the date of issue passed more than 10 years. Exchange it after expiry. It does not matter how much time has passed since the end of the term. - money to pay the registration fee. 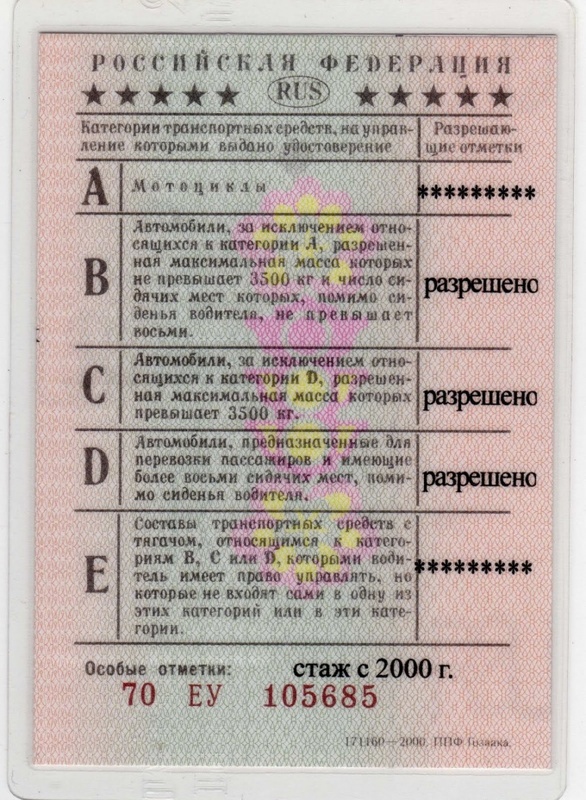 - certificate of driver training (this document is optional if the training took place in the same city as the exchange rights). Also do one color photograph 3x4 or black-and-white on matte paper with the corner on the right hand. Don't forget the receipt on state duty payment according to the form № PD-4 will pay for it in the savings Bank. In some branches of the savings Bank are offered have already filled in forms with the details of REO, but not all. So rewrite the details in the REO from the duty inspector. If changed name, collect all the documents proving this fact. For example, if the surname has changed after marriage, take the marriage certificate. Temporary permit for office (if available). Exchanging law, this resolution must pass. All documents photocopy. In after hours, submit the documents to the territorial body of the traffic police at the place of registration or actual residence. Huge queue, so please be patient. In the presence of friends who can speed up the process, contact them. Since delivery of the documents (and the rights) and until the issuance of new rights to drive will be impossible. So try to take the documents in the first half of the day to the second to obtain new rights. When replacing a driver's license to retake the theoretical and practical exams is not necessary. Regardless of how overdue it is and how much in fact you have never driven a car, the penalty for the expired exchange certificate is not provided. But driving with an expired license (at least for a day) inspector will make the Protocol and impose administrative penalty (fine). 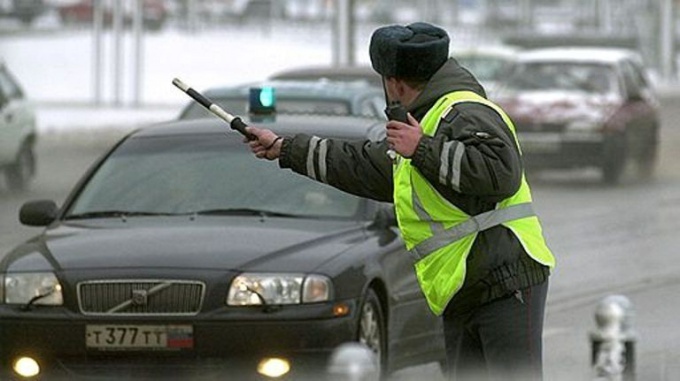 If the traffic police will require any additional documents, ask for a written refusal to issue a driver's license with indication of reasons. With this waiver, contact the Prosecutor's office. An unscrupulous employee was reprimanded, and the rights will be obliged to give. If you wish to begin driving after a long break, read the rules of traffic rules, which change almost every year. 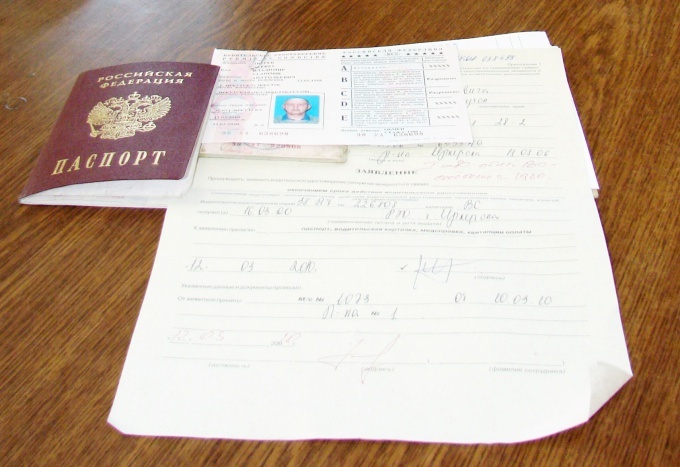 Replacement of driving licenses is carried out in accordance with the decree of the RF Government dated 15.12.99 1396, by order of the Ministry of internal Affairs and rules of the 782 RF PP 1396. To replace the law, should contact the registration and examination Department of traffic police of your area, if you live in the suburbs or any other area, if you live in the city. receipt about payment of state duty for the change. Driver's license must be replaced every 10 years. All documentsrequired for the replacement of the rights specified in paragraph 38 of the user PP of the Russian Federation. If you have expired certificates, you must submit to the traffic police law expired, a passport application, a personal driver card, 4 photos 3x4 left-hand corner, a certificate of medical examination 083/U-89, temporary permit, if you got it, the receipt on state duty payment. Exams you will only be the case if your rights obtained in the former republics of the USSR after January 1, 1992. No fines for overdue rights are not provided, however, if you are going to use them, it will be equated to driving without a license. The car can take it to the penalty Parking, and you will be attracted to administrative liability and may make it impossible to change the certificate for a period of up to three years. If you have expired rights, and you have never driven a car 12 months or more, you will be asked to retake theoretical exam and practical. Practical exam you will be asked to take category b, C or D, even if there are additional categories. If you want to replace an expired law and at the same time you have changed your name, submit a document confirming the new name, for example, certificate Registrar, certificate of marriage or divorce. If the replacement card from the inspector reasonable doubt regarding the authenticity of your overdue is right, the results can pause for up to two months before clarification of all circumstances. In all other cases, the rights are issued for one to three days, depending on the region. At this time be issued a temporary permit, so that the driver can drive the vehicle during the replacement certificate. At the expiration of a driver's license need to convert this document to a new one. Driving a car with expired rights legislation equates to driving without a license, which is fraught with trouble for the driver. Collect all the necessary documents. You will need a medical certificate, expired driver's license photos to a new driving licence and passport. Please note: in lieu of a passport you cannot show a foreign passport, military ID and other documents. If for one reason or another at the moment of passport you have, show instead issued a temporary document, proving your identity. Also you have to pay the state duty for the issuance of a new license, and take a receipt confirming the payment. This can be done either in special payment terminals in the office of the traffic police, or in the savings Bank. Call the traffic police and find out what days and what hours is the reception of drivers who need to replace a driver's license. Also, check how is the reception, do I need to register in advance or to take a Parking ticket. Otherwise you risk to spend a lot of time and nerves in vain standing in endless queues. Also just in case find out what you need to bring: you may, for example, may not need to photocopy any document, and you will have to look for a place where it can be done, and then wait for their turn. When you finally get to the reception, show the police all the necessary documents and photocopies. Wait until you will be given a new identity, and don't leave until you check all these information. Police officers are people too, and they may accidentally make a mistake, due to which you may later have troubles. If the error is detected immediately after the issuance of the new license, the fix will take only a few minutes. But if you find her, already having left branch of the traffic police, you would have to stand in line and waste time.